This is the 5th post of the series and soon we will do some changes ^^ to a more automated system. [02-12-2018] Video spawn icon does not respond. Curious fact: do you know that if you search '' Nero Claudius'' in google images you will not get a single historically accurate depiction of the emperor? Last edited by Albus; 12-01-2018, 07:13 AM. Not a bug report, but I'd like to see this being updated. In the Japanese UL's Help pages, there is a page listing all of the types of Status Effects. It's not in Global UL's Help pages as of yet. Not only this will help categorize which effects can be balanced and purified, but it will greatly help knowing the official names for status effects for the Wiki. I hope this gets attention, thank you in advance. We're actually in the process of trying to get this added. Thanks for the reminder. I'll try to get this pushed through as quick as possible. Hi i hope this is the right spot! when in messages and you tap the boards icon you get locked in chat unable to back out and do anything in game. Last edited by CSMaxy; 12-06-2018, 08:55 AM. Chat is really bugged right now. you also cannot start a new PM with a friend or new person. You click on &quot;send message&quot; it pulls up &quot;current&quot; tab, so when you go to PM a friend, you wind up posting it to the lobby you are currently in. Will look into this now! 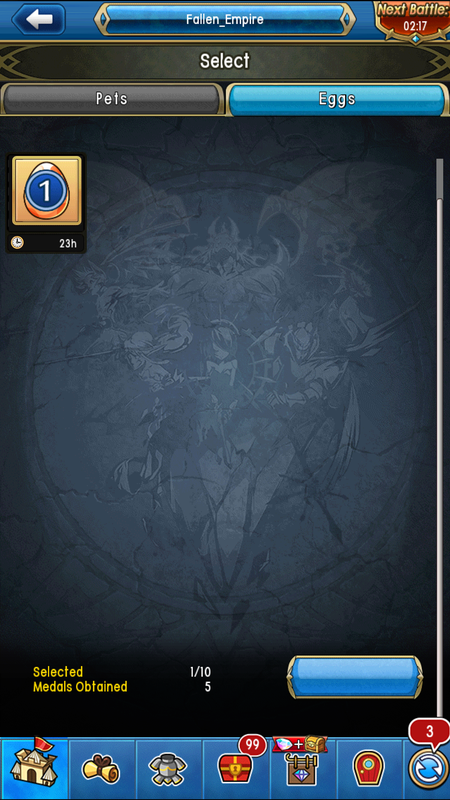 'Leftover Summoning Scroll Pieces will be converted into Droplets of Ether at a rate of 1 to 1 after the Summoning Scroll expiry period ends after the event has ended. '. It looks like only the Scroll Pieces were converted. Scrolls should still be usable I believe. Last edited by Miss Bliss; 12-07-2018, 10:20 AM. Description: A new main quest area has been added, but no missions show up until completing each individual stage. Expected outcome: missions should show up in the trophy tab. EDIT: It appears that this only affected the first trophy mission, after clearing the first stage in windt the mission showed up for me to collect my gem and now the stage 2 mission shows up. There are also missing labels when you try to breed pets in the public chat rooms with limimins. Description: New UI changed the place the macros go (in the same tab as the limi stickers) but doesn't function the way it is supposed (?) to. Outcome: first slide of macros we can use but the arrows on the left and right do not take us to any other page. We are stuck on first. Expected outcome: to be able to move through the many different pages of the macros. I just confirmed this myself and spoke to the programmer in charge of this. We'll try and get this fixed next week. Desc : If watching a battle of the guild grand tournament and crashing, trying to get back in will result in endless loop of that last scene you were watching. We're trying to get this fixed asap! Have you unlocked the relevant sub classes for the advance class you are trying to obtain? This has happened so many times to me. It can happen to Unison too. [ 11 - 8 - 18 ] Black Screen with Invalid Operation. Desc : You start with one invalid operation then it results in a loop of a black screen loading, after a few seconds it says " Invalid Operation "
Outcome : Time wasting and unable to play the game. Expected Outcome : This Not To Happen. It happened to me and my friends after a duel, dunno if it happens after other things. Description: You enter Unison League with a black screen and the fishing icons on the rights. Plus the gold limi quests is in Japanese same as the fishing. Expected Outcome: A clear screen with no Japanese and glitches. Let's hope this fixed tommorow and give a compensation of gems. Description: The player tries to enter Unison League which results in a loop of Loading screen and Connection Lost after a bit and no matter what you try to do once it starts it doesn't stop in hours. Expected Outcome: The player will be able to log in to UL perfectly fine and actually play the game like always. I expect some type of compensation since this has been happening since the update on Thursday and it completely destroyed the schedule I had to farm the new limimin event to 200k for my team. Outcome: When I try to scroll down to look at the limi's up for breeding, the list automatically scrolls itself back to the top of the list. Expected outcome: I can scroll to the bottom of the choices of limis without having to hold my finger there to prevent for it to scroll itself back up. Can you post a few screenshots? Albus I would but I don't think this can be captured via screenshot because it is an action and not a static issue. I tried to replicate this myself, but I could only get two people in my matching list. I'll pass this along to the team for them to check. Not an error but In JPUL I heard there was a free spawn (gives 5 random gear) with chances for Christmas monsters. I'm wondering why didn't global get it?